The 101st Tour de France will be departing from Yorkshire England Saturday July 5th and continuing through Sunday July 27th with the traditional final 21st Stage finish on the picturesque Champs-Élysées, a total distance of 3,664 kilometres! 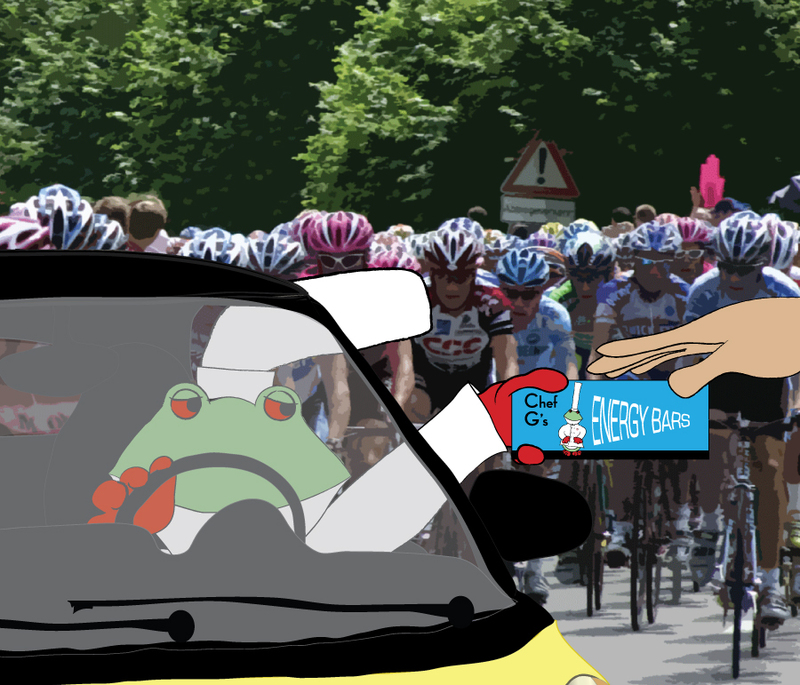 Mais naturellement---- I will be there handing out Chef G's ENERGY BARS! With Bernard Hinault as the last Frenchman to win Le Tour in 1985, it would be a thrill to see a winner among the five French teams competing this year! Visit the official Le Tour website for updates.